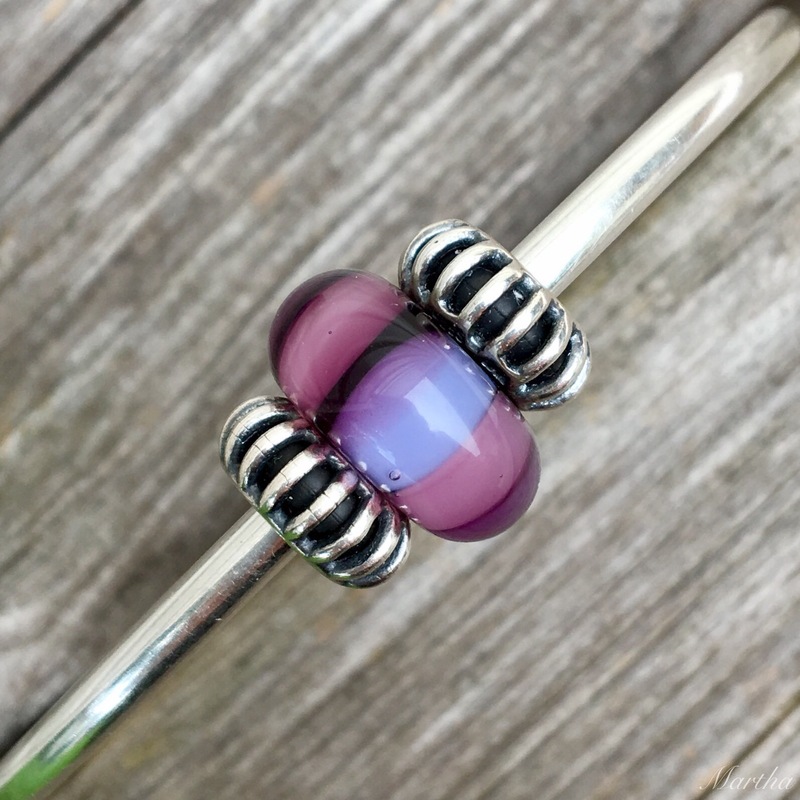 Just a quick post today with a few photos showing some beads that will be 25% off June 28th-July 5th at Trollbeads USA. They will also be doing a free bracelet with the purchase of a decorative clasp and a free tote with purchase of $125+. They will be adding new styles every couple of days throughout the sale. 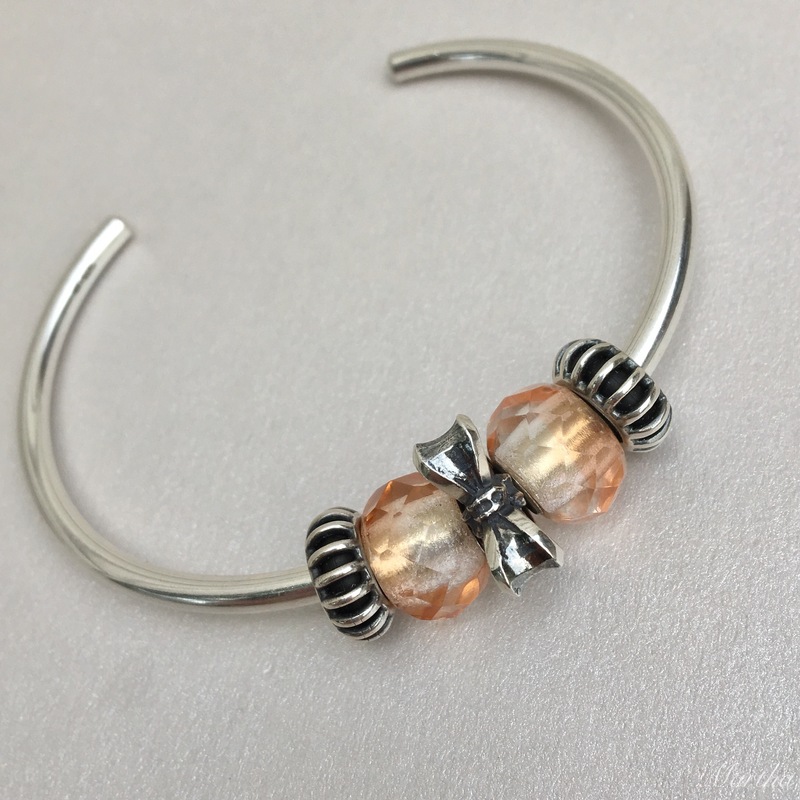 Today some of the sale beads include Pink Prisms, which I totally love! Another one is the fabulous Purple Stripes. Also, these three glass beads below are included. 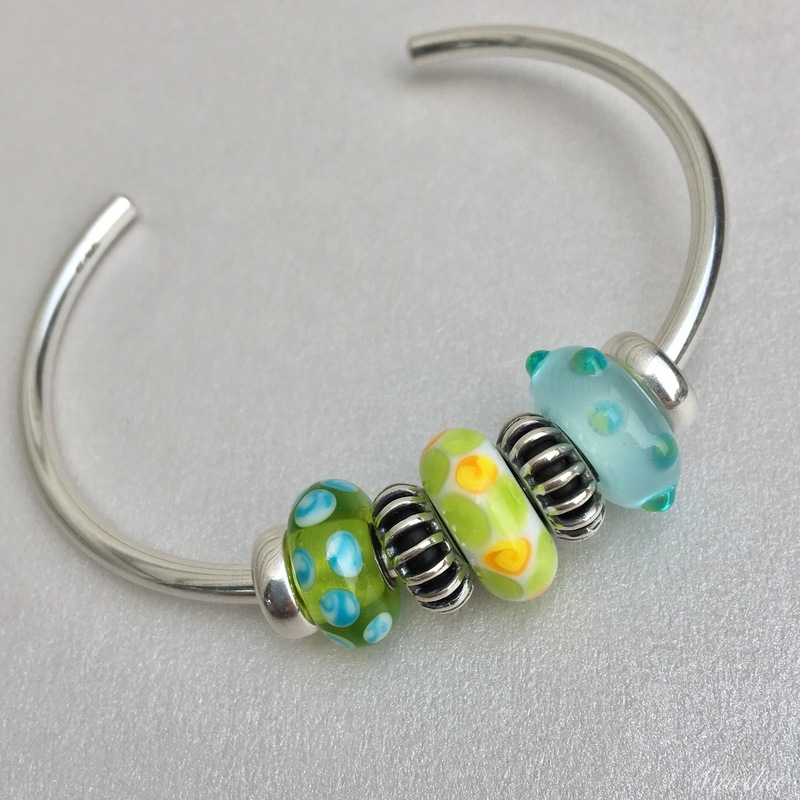 Left to right are Turquoise Green Dot, Buttercup and Ice Blue Bud. 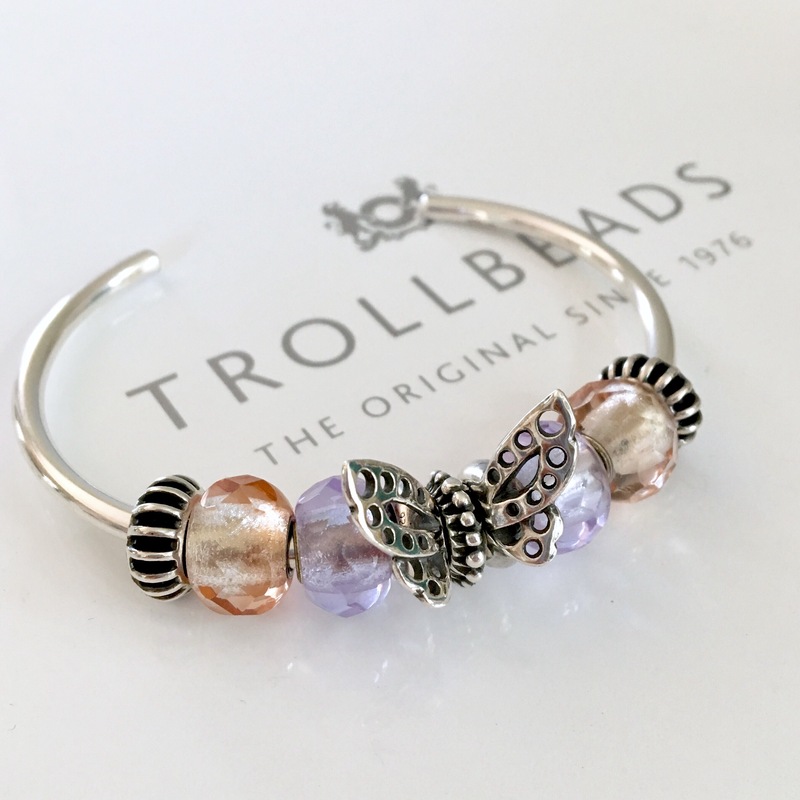 Here is an affiliate link that goes to the Trollbeads USA website, if you feel like checking anything out. Happy shopping, whether it’s browsing or buying! Also, here’s a preview of Friday’s post with the adorable Dancing Butterfly Spacers. And if you want to see some lovely photos of two sets of the spacers being used, check out Laura’s lovely combos on Instagram at @evepink123!